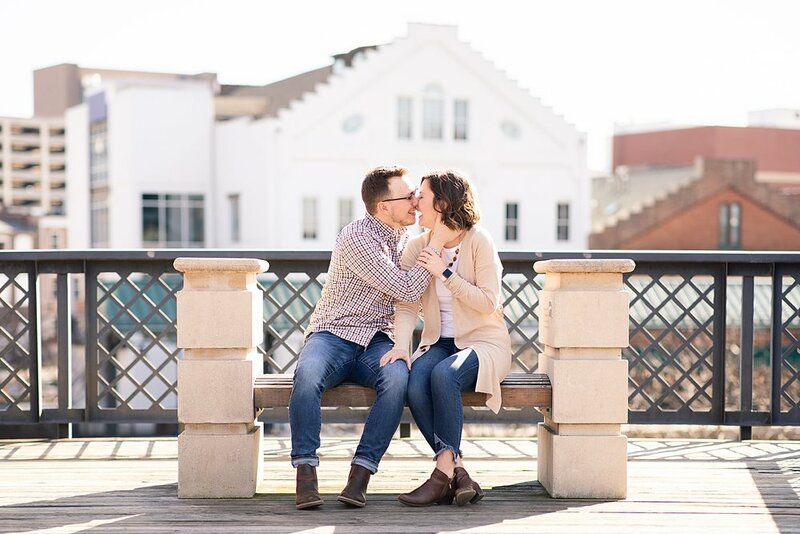 James and I ask a series of questions before we book with our couples. 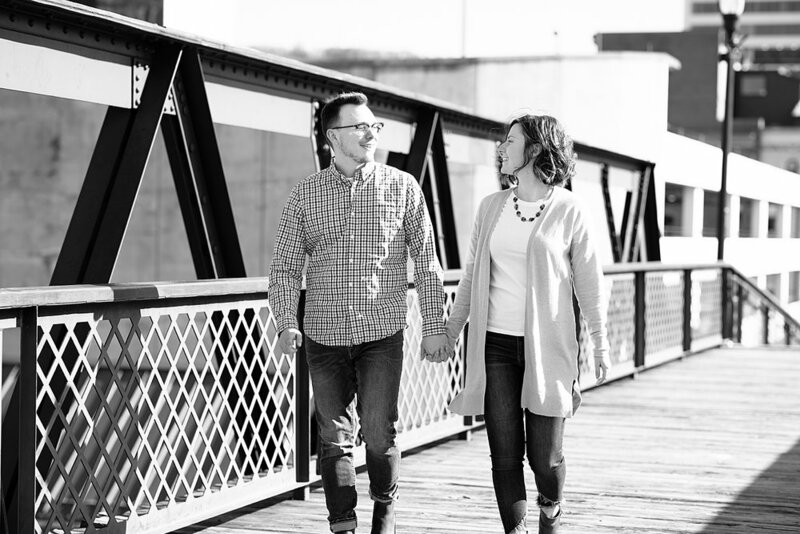 We do this so that we can make sure we are the perfect match for their wedding day and photography needs. 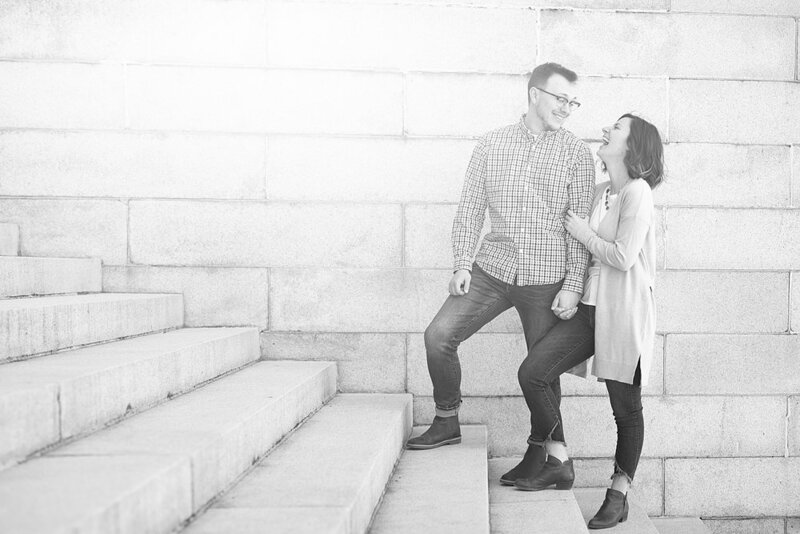 I love reading how each couple met, how he proposed, and hear about their wedding day plans!! 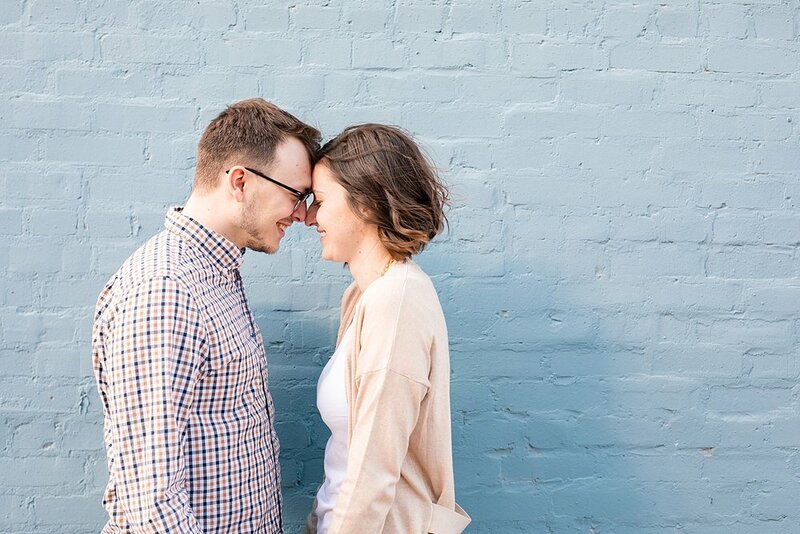 All of these factors play into how James and I work with our couples. Zach and Michaela clicked so well with James and I! Our time with them started out amazing!! Especially the part where I told them to park a million miles away. I grew up in Roanoke so you’d think I know my way around town. Yeah I was a little too confident in my knowledge of parking garages (sorry again guys). 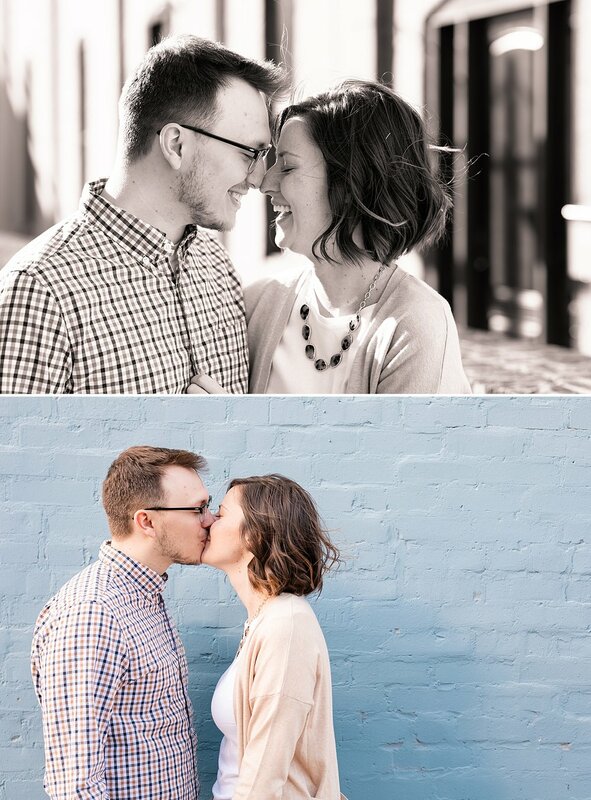 The awkward start to our time faded instantly when these two stepped in front of the camera! These two are naturals! 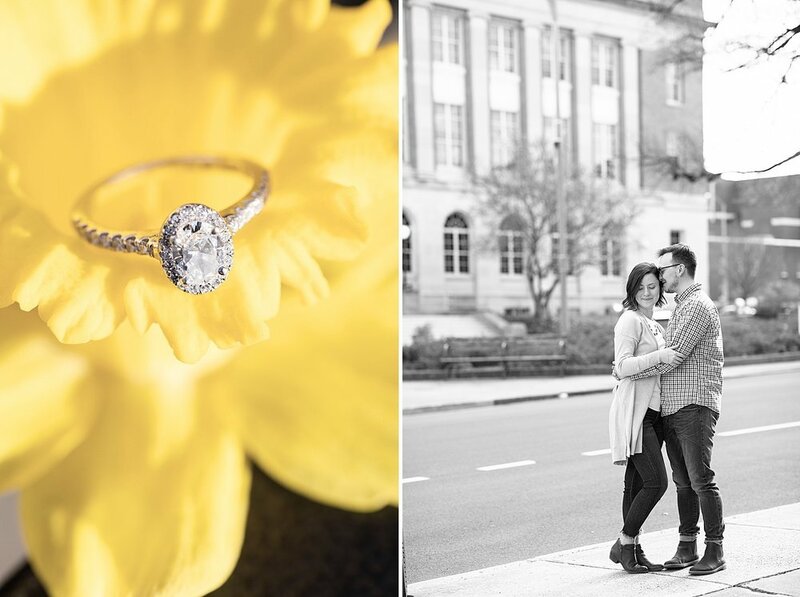 Being in front of the camera at an engagement session is honestly the hardest part of the EHP Wedding Experience! 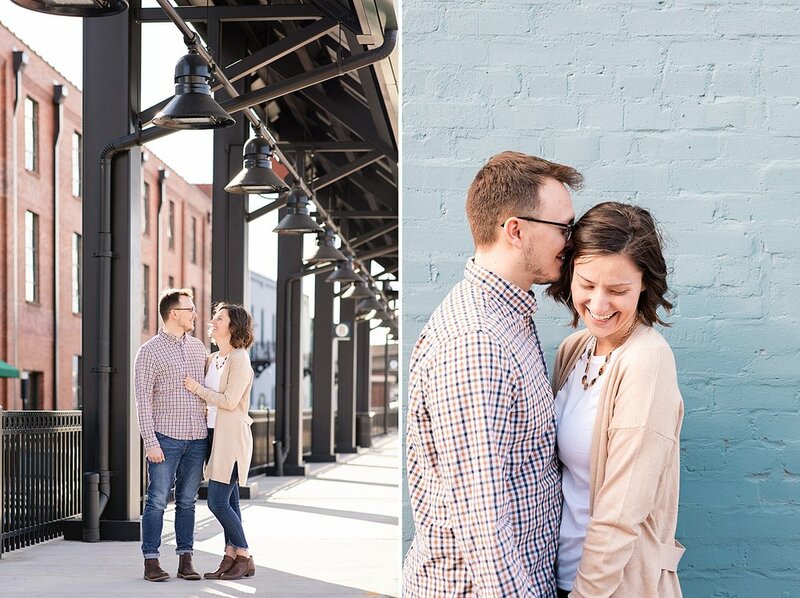 Zach and Michaela wanted a more modern downtown feel for their session. So James and I explored Downtown Roanoke and found a hidden gem near Virginia Museum of Transportation. These beautiful townhomes reminded me of my favorite place on earth. Charleston, South Carolina! After the Roanoke “Rainbow Row” we stopped by the train station! We got to see a train come by while we were there and the conductor didn’t even blow the horn for us. How lame is that? 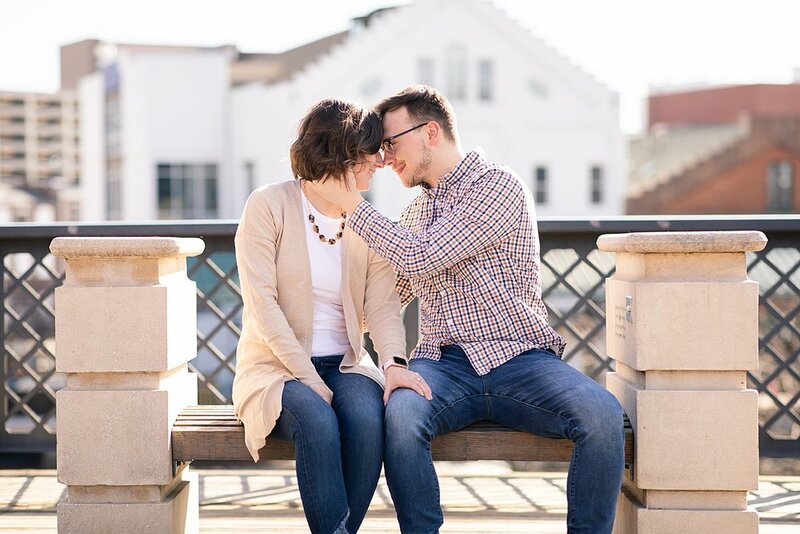 I love it when my couples are able to use the engagement session prep resource I give them! 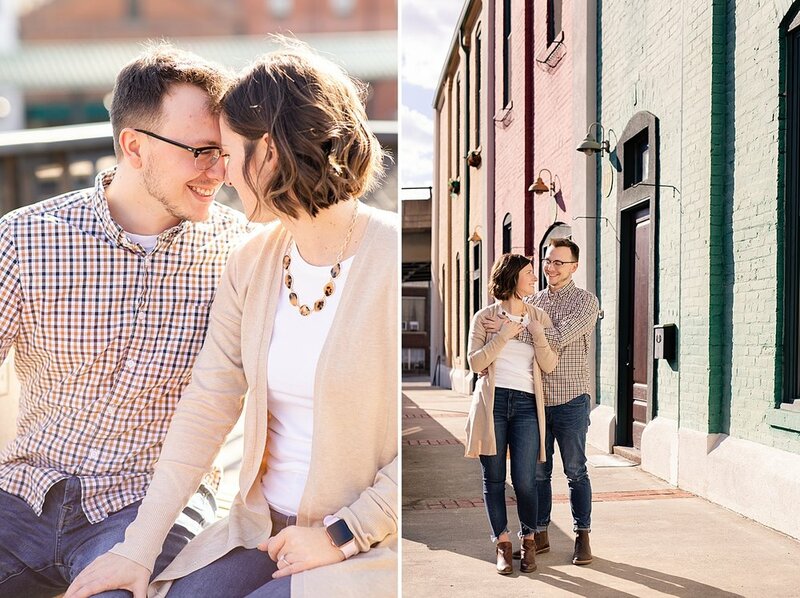 I know most of my couples have never had an engagement session before so I send them tips and outfit ideas. I want them to wear something that makes them feel comfortable and confident. This couple nailed it with their outfit! 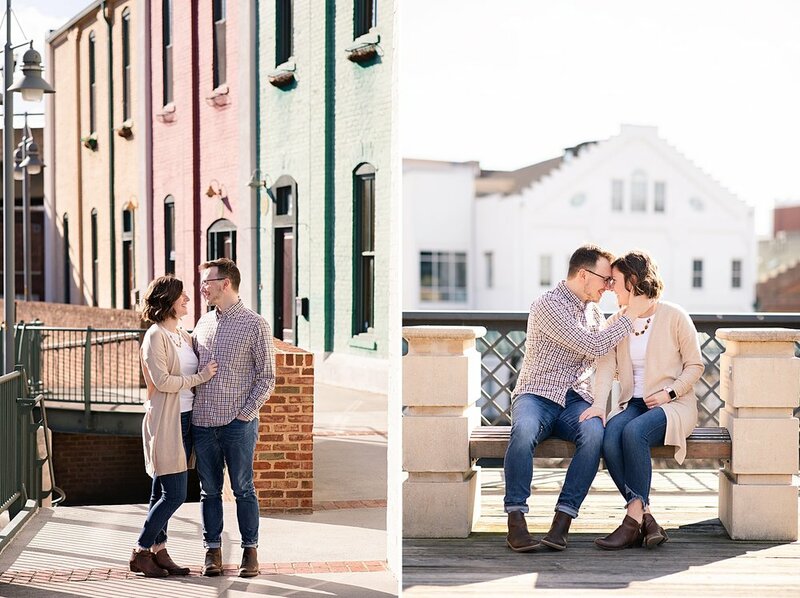 I live in jeans and cardigans so I loved Michaela’s style! 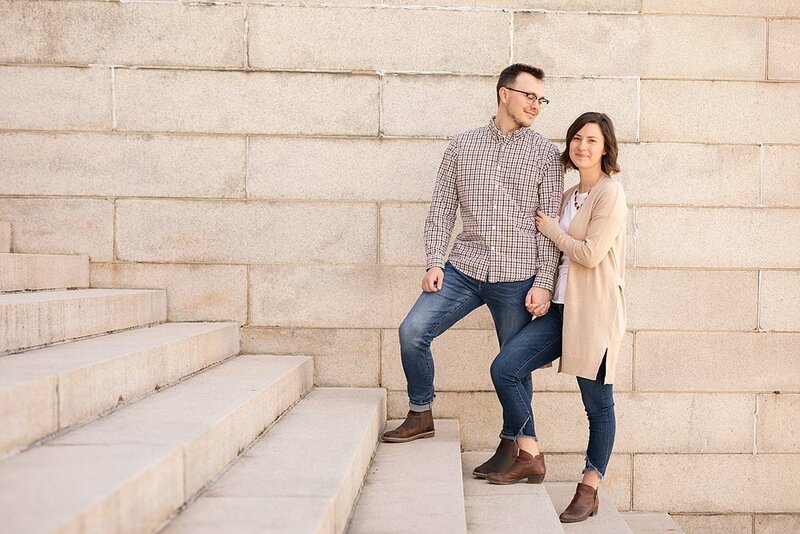 Zach and Michaela’s outfits tied in perfectly with their modern downtown feel as well. 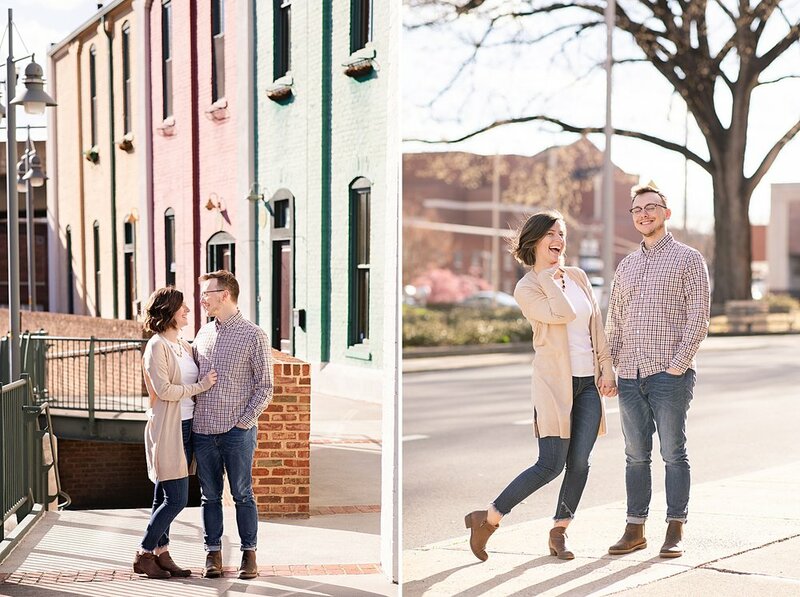 We enjoyed our time with these two so much and can’t wait for their wedding on the BEST college campus ever. Virginia Tech!! See you two in July! I love these two shots! Look at Michaela’s laugh, she is precious. Advanced posing right from the beginning, you go Zach! 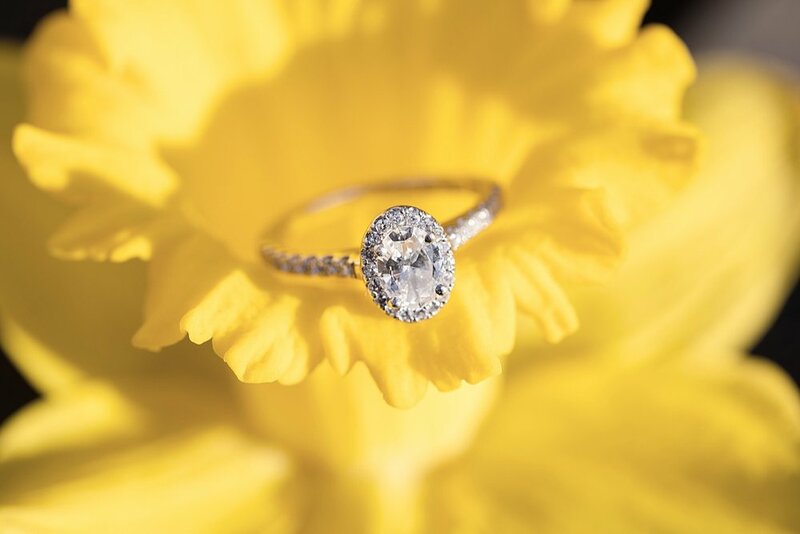 LOVE this oval ring! Whoa! Zach kept her laughing the entire session!